‹‹ “Piranha Jihadophiles” Savage White House Scholar Gorka…on Iran’s Orders? The fight against illegal immigration is a fight for the rule of law. The enemy of rule of law in Guatemala is hidden in plain sight, and with a name that belies its true purpose. The new secretaries of state and homeland security, Rex Tillerson and John Kelly, are up against an array of deceptive obstacles as they seek to curb illegal immigration through Guatemala and Mexico. 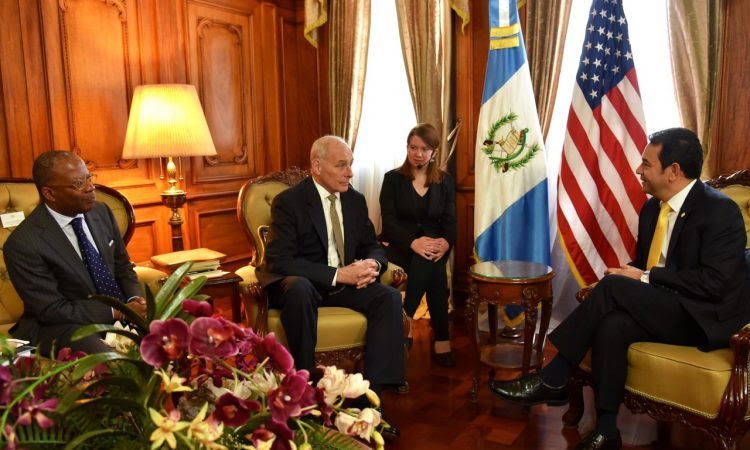 They are aware of the pivotal importance of the Northern Triangle, and Secretary Kelly visited Guatemala on Wednesday. While the border wall should reduce the flow, it won’t be completed for as much as two years. For the meantime, engagement with Guatemala could significantly reduce the flow of illegals without further investment. This can only happen, however, with a change in policy from Washington, DC. Mexico and Guatemala have distinct roles to play. With no border and only minor trade with the United States, Guatemala might appear irrelevant. As the gateway for migrants north, though, it offers an opportunity to establish rule of law before illegals even cross into Mexico — where corrupt officials provide an easy pathway. The 595-mile border between Guatemala and Mexico is no trivial piece of the puzzle. In fact, multiple reports assert that in recent years more Central Americans have entered the United States illegally than Mexicans. Further, people from elsewhere in the world use Guatemala as the key passage en route to the land of the free. That is why rule of law in Guatemala is crucial, in contrast to the prevailing rule of the jungle. Armed gangs dominate the rural areas, in particular, and descend from the subversives of the nation’s internal armed conflict that nominally ended in 1996. Successive governments have abandoned the interior of the country. Although not well known in the United States, the Obama administration protected these Marxist comrades and facilitated the installation of their allies in various branches of the Guatemalan government, particularly the judiciary. With illegal court decisions and no consequences for their criminality, these gangs are on the verge of shutting down Guatemala’s hydroelectric plants. Consequently higher costs of living, reduced employment prospects, increasing violence, along with the arrival of newly deported Guatemalans, are fuel for the fire of human-trafficking. Charged with confronting impunity in Guatemala, one organization is actually fomenting the problem and impeding the necessary work that could be done to clean up the mess. That is none other than the UN Commission Against Impunity in Guatemala (Cicig), a key component of Obama policy, with its largest bankroller being US taxpayers. Former Vice President Biden publicly and persistently pressured former President Otto Pérez to extend the Cicig mandate, and he succumbed to Biden’s will. Purportedly, the Cicig identifies and helps disband clandestine security apparatuses that deprive people of their basic rights and are beyond the reach of the law. That is a precise description of the various guerrilla-descendant gangs that have ruled Guatemala’s rural population with US and Cicig protection for the last eight years. 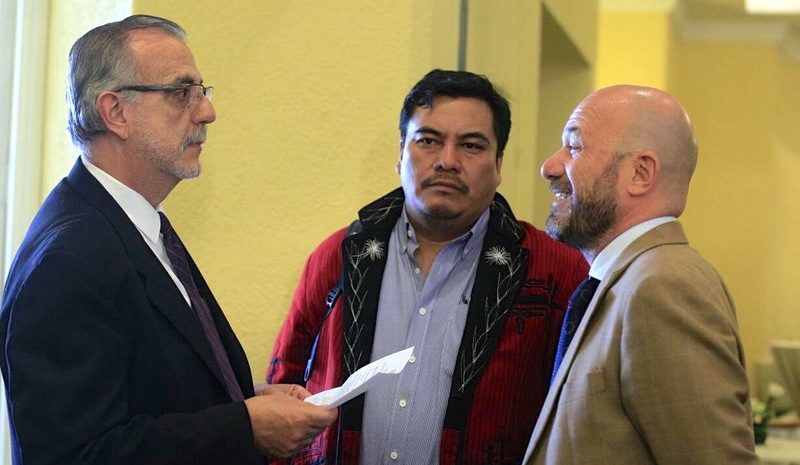 Cicig Commissioner Iván Velázquez has appeared in public, at a human-rights forum no less, with Daniel Pascual, the general coordinator of the Committee of United Campesinos (CUC). The CUC is one such group that has been involved in violent actions against hydroelectric plants and other businesses. US Ambassador Todd Robinson has also joined the party and smiled alongside Pascual. The Trump administration should conduct an immediate investigation, which will confirm that the Cicig has violated its mandate and the law. Then appropriate measures can be taken. Urgent action is required because Robinson is using the specter of the Cicig — along with his authority over US visas — to intimidate the Guatemalan Congress into passing constitutional reforms. This is how he got Gloria Porras appointed to the nation’s highest court, and if the constitutional reforms go ahead, the current members of court will be able to perpetuate their positions of power. In other words, radical collectivists will be able to continue Obama’s policies and block reforms by the Guatemalan government that the Trump administration would support, long after Robinson is gone. Guatemalans want to be free to work according to the law, with physical and legal security. The rural population would welcome any rescue from the oppressive, arbitrary rule of groups such as the CUC. Upstanding individuals in government understand the problem and are inclined to support the rule of law, except they have been intimidated and look for a green light from the United States. The Guatemalan government has elite security forces that could bring law and order to the rural areas. Further, the annual $750 million allotted for the US Alliance for Prosperity aid program already calls for these activities. A grateful populace would become an asset, not only less likely to migrate illegally to the United States but supportive of efforts to impede foreigners traversing their nation. Such a success story would become a model for other Latin American countries. The Alliance for Prosperity requires the ambassador’s participation, but Robinson’s record indicates he will not execute a different policy. Further, his public statements against the papal ambassador and threats towards Guatemalan congressmen disqualify him. His mere presence signals to Guatemalans that the Obama policy continues. 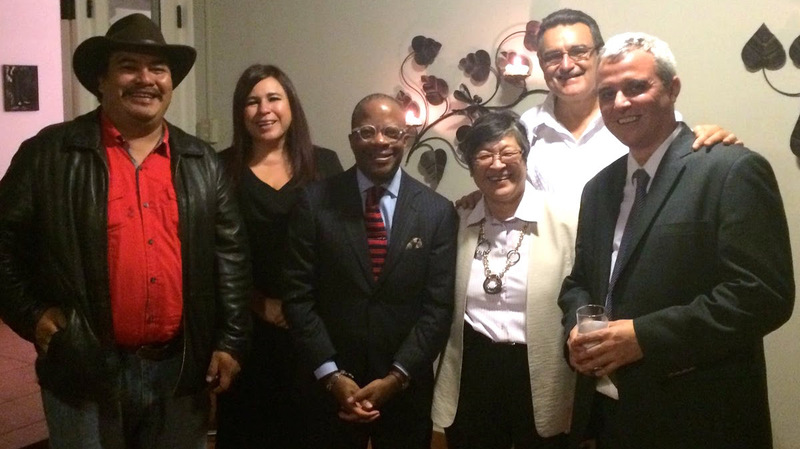 The opportunity is there to change US policy, to make it a win-win on the home front and for Guatemala. At present both the ambassador and the US-funded Cicig stand in the way.